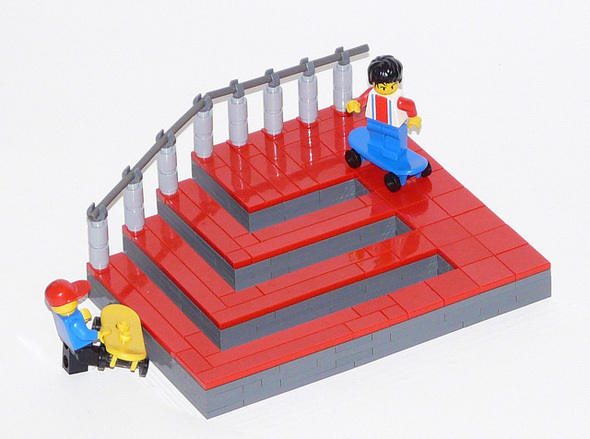 Here are three impossible #LEGO constructions for you to solve. Can you explain them? It’s important to understand there was no tampering with none of the showcased photos. Nor were they digitally manipulated in any aspect. I’d also like to distress how the illusion works from a single specific angle – it’s up to you to try and visualise how the constructions looks like in real-life. First one is flatter than it may seem, just for example. Happy hunting, no better way to start a productive week! The second one works because of the second man hiding the ‘break’ where the side becomes top. Although the picture is almost perfect, try to draw a line along the bottom of the blocks, and you’ll see. In the first one the railing really reveals how it was made :) It goes backwards instead of upwards meaning the entire thing is flat but photographed at a perfect angle, very neat. Second picture, I believe that the top pillar ends behind the center lego-man, the seam hidden by him. Feels like you’d need a long zoom lens to take these pictures :P so little perspective distortion. Last one shows flat blocks with stripes of different colors :P least spectacular but still neat. Thanks Andreas. Nice simple explanation. I can see it now. Cool! I’ll send you 2 of them! 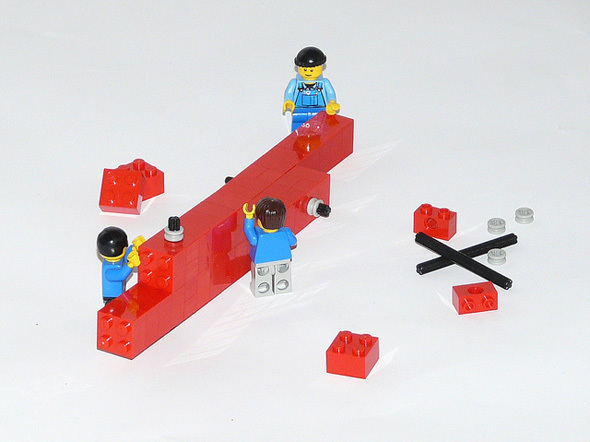 Lego: turning impossible builds into anamorphic art since 1932. I was confused by which was the illusion. The leggos were fairly easy, by the author’s twisted syntex could baffle anyone. “No tampering with none” rules in some tampering. I was also somewhat distressed by the photo angle. The first one is actually flat, looks like steps but it’s actually spaces. Focus on the right of it for a while, then look slowly to the left you will see. It’s actually grey blocks with flat surfaces on top. The second, yes the little guy in front is positioned just so, he blocks the line you would see. 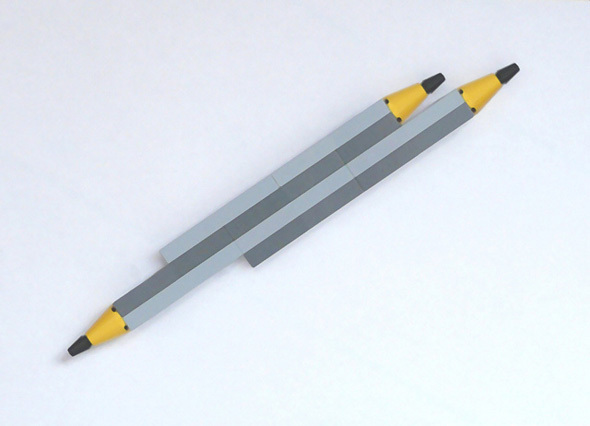 The pencil looks cool, but easy to follow and do. The top one works. It’s all flat, but to the left of the man at the bottom of the stairs, it goes out one block at a time. the rail bends like an arrow tip slightly! These are what I call masterpieces, so no, I don’t know how these work, but I will find out. In the first one there are gaps between the “steps”. This explains the weird railing. 1. Look carefully at the angles of the claws of the vertical bars on the railing of the stairs. 3. Look closely at the pencil. Find the breaks in the pencil.